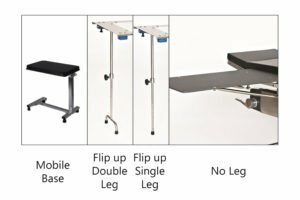 There are many different options when choosing a Arm and Hand Surgery Table. Each one fits a unique need and every surgeon has a personal preference. This guide will help you identify the differences and help you choose the best option for your facility in 5 simple steps. Start with size. What size best fits the needs of the surgeon? 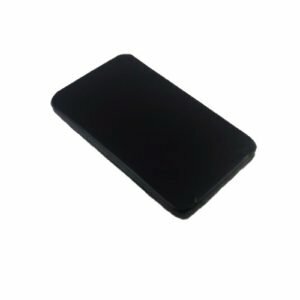 Rectangle- Our most common size that is very universal. 32″ x 18″ operating surface to fit any procedure large or small. Hourglass- More specific to user preference. 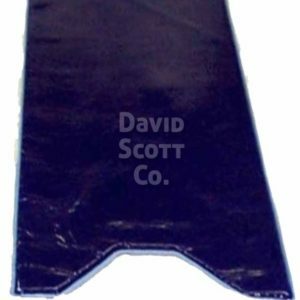 Offers wide outer support for surgeon’s arms or wrists to rest on. Narrow waist to allow up close access to the arm or hand. Free Access- Our smallest operating top. Not much more than an extra wide armboard designed for very minor procedures. We have tables made out of different materials. Choose the best for your budget and application. Carbon Fiber- Excellent durability and C-arm image. Lightweight and extremely smooth for easy cleaning. The best material for this table. Stainless Steel- Very good durability and rigidity. Opening filled in with polycarbonate for C-arm access. Very good for infection control. 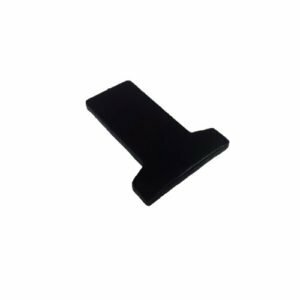 Phenolic- Very durable and rigid material. Good C-arm imaging. Material is similar to what is used on the top of OR Tables. Easy to clean. Now choose your base. ranging from very stable through to suspended completely from the OR table rail, we have you supported. Mobile Base- Self supporting. rolls on 4 casters, locks in place with 2 locking casters. Adjusts in height with a simple one hand lever. Flip up leg with single foot- Same as leg above but with a single lower foot. Works well when floor space is an issue. No leg- We have tables that are fully suspended from the OR Table Rail. These are excellent for C-arm maneuverability and access for surgeon’s knees if they prefer to sit during surgery. Also raises and lowers along with OR Table. 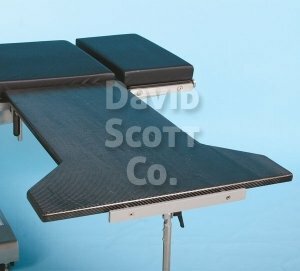 There are several different options to attach to the OR table, stretcher or stretcher chair. 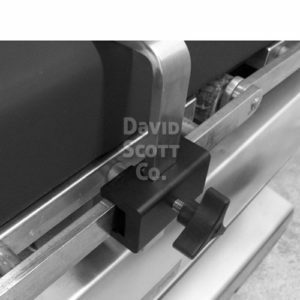 Clamp directly to OR Table rail- This is the most secure way to attach a table to the OR table. All of our tables ship complete with clamps that are attached to the arm/hand table. No additional clamps to purchase and as they are attached, they will never be lost when it comes time for surgery. Slide under pad- Many times arm and hand surgeries are performed on equipment that does not have a rail like the OR Table. For these applications, we have thin tables that slide right under the pad of the stretcher and are held in place by the patients weight. All our Arm and Hand Tables ship complete with 2″ pad. 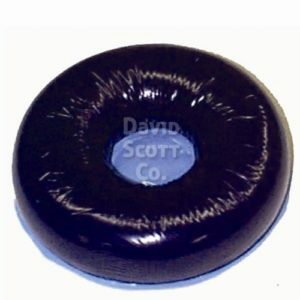 3″ and 4″ Pads are also available if that is needed. 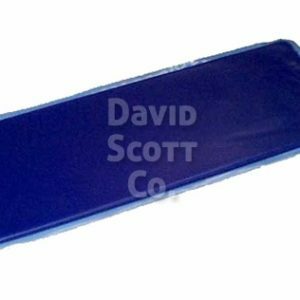 On under pad applications especially, make sure the arm/hand table pad thickness matches the OR table or stretcher pad thickness. 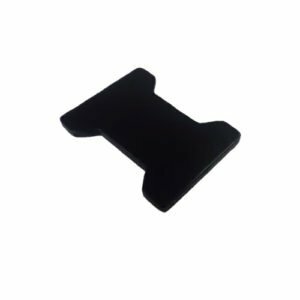 Replacement pads are in stock and available for immediate shipment.